What’s New in Open Shelf? is a Table of Contents of sorts. Open Shelf publishes when we have compelling new material. We are hoping that will be every two weeks or so. This is the inaugural release so there’s lots to talk about. The Features component of Open Shelf allows contributors to explore a variety of issues and insights. These 5 features cover a lot of different ground. The Idea Market: A New Direction in Community Engagement. Jennifer Leveridge describes what happened at the Newmarket Public Library when they decided to be more of a community hub and when they wanted to nurture “spontaneous conversation.” What happened was all good. London and Jinan: A Visiting Professor Compares Jinan in China’s Public Library System With That of Middlesex County. Technology makes us neighbours, traditions and experiences make us diverse. Guodong Zheng provides a glimpse into the similarities and differences between public libraries in Canada and China. The Internet is Insecure. Ruth Collings doesn’t want you to stop using the internet but she does want you to understand its weaknesses. Don’t be paranoid, but someone is watching you. Machine Translation: Can It Help Newcomers Access the Public Library? Lynne Bowker and Jairo Buitrago Ciro investigate if automated translation is a cost-effective means of translating public library websites. What they discovered could help you connect to the communities your library serves. Looking Backward, Moving Forward: Ho-OPLA Reflects Decades of Changes. Catherine Coles and Rudi Denham use the launch of Open Shelf as an opportunity to consider where libraries have been and where they are going. Drawing comments from some of OLA’s most prominent leaders, they see a different, but bright, way forward. Open Shelf loves columnists and their columns! And our readers agree. This releases includes 3 columns familiar Access readers. We are delighted to have them continue. Designing with Empathy is the next installment of the popular On the Verge column from Amanda Etches. In this column Amanda asks “Do we really understand our users?” Perhaps we need a “Work Like a Patron Day”. In the Random Library Generator column Robin Bergart interviews OLA members. And by interview we mean “she asks them strange questions.” This time it’s Courtney Waugh from Western University and you’ll find out about her favourite snacks as well as her professional passions. The newly renamed Research for Practice column is edited by Paulette Rothbauer from Western University. She invites library and information studies researchers from around Ontario to discuss their research and its application to practice. This time Lu Xiao looks at Academic Opinions of Wikipedia and Open Access Publishing: Gender and Academic Status Factors in Perception and Use. Launching with this release are 4 new columns. Each column has a unique perspective but they all focus on being engaging and insightful. The Interview is a column featuring conversations with prominent individuals in our field. The interviewer and the interviewee will be different each time but the focus will be on interesting people with engaging ideas. The inaugural column features Jennifer Dekker interviewing Kevin Page, the former Parliamentary Budget Officer: Parliamentary Budgets & Librarians: An Interview with Kevin Page. Where’s the Government Support for Broadband? launches the Policy Wonk column by Todd Kyle. As the column name suggests, Todd will be exploring the critical policy issues relevant to libraries. Part policy analysis, part call to arms, all passion. Libraries regularly laud themselves as open places for everyone. Is that really so? In the new column Open for All? John Pateman explores that question. And his first column starts with one of the biggest issues of all: Power. What is it like to work in a different country and a dramatically different culture? In Red Sea Dispatches Chris Graves will explore just that as he begins his new role at the the King Abdullah University of Science and Technology in Saudi Arabia. Be a Beacon of Hope (Not Another Ivory Tower) sets the stage for an intriguing series of discovery and surprise. 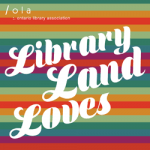 Bird’s Eye is a regular column from Shelagh Paterson, the Executive Director of the Ontario Library Association. Through her column Shelagh will offer us her view on issues affecting OLA and its members. The first article, Brainwashed – In a Good Way, is about the nature of library values. So what’s next for Open Shelf? Let’s look ahead for what will be in future issues of the magazine. We can look forward to new columns from Patricia Presti: one on alternative careers for librarians and information professionals (Alt-Lib) and another on the vendor community that we rely on but often know little about (Behind the Curtain). In September we will publish new features from Rochelle Mazar on library/public space and John Dupuis on the Digital Canada 150 strategy. OCULA is working on a number of new pieces as their newsletter blends into Open Shelf. Later will we have a commentary on digital identities, interviews with library leaders, the first Tech Appetizer from OLITA, and perhaps a surprise or two as well. And finally, the From the Editor column is a space for me to discuss current issues or controversies. The first installment, Welcome to Open Shelf, encourages you to contribute to the magazine.